We have a new team member at NSS! John Anderson, CPA, CISA, CISM, CGEIT, CITP joined us last April expanding the team’s capabilities measurably. John leads the Business Systems and Integrations side for NSS as well as the Public Accountancy specialty. John has successfully assisted several audits, IPO’s and been trusted by some of Boston’s top CFO’s in preparing their companies for SOx Compliance … a significant core responsibility for any US Public CFO. Are your controls structured and detailed in the currently required granularity? Do you have a detailed and documented review process in place, evidenced with retained documentation? Do you have support around related IT controls that are requested today? This brand new regulation with its final rules and form amendments are in effect since June 19, 2015. This aspect of the JOBS Act has the potential to permanently change the way we raise capital in the US. Tier 1: Annual offering limit of $20M, including no more than $6M on behalf of selling securities holders that are affiliates of the issuer or secondary offering. Tier 2: Annual offering limit of $50M, including no more than $15M on behalf of selling securities holders that are affiliates of the issuer or secondary offering. Issuers must file Regulation A+ offering statement with the Commission electronically on EDGAR. If you are a public company CEO or CFO and find yourself in overdrive with all the compliance regulations, John can help you by stepping in and getting you the support you need. Q3 is shortly upon us, so let us know sooner rather than later. 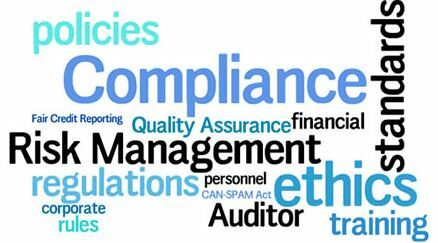 This entry was posted in Audit, Risk Management, SEC Compliance and tagged CFO, Enterprise Risk, financial reporting. Bookmark the permalink.